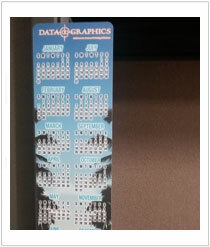 Data Graphics is one of the most highly decorated vinyl label makers in America. 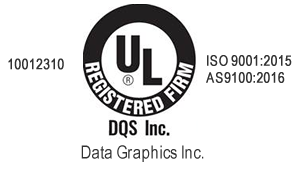 We are one of the only vinyl label makers in the nation to be certified as AS 9100, Metalphoto, RoHS, and ISO 9001: 2008, and UL complaint. We are used to meeting many of the most demanding standards in the nation including Siemens, GE, Lockheed Martin (Small Business Partner of the Year), Rockwell-Collins (highest level Platinum Premier Supplier Award) and Boeing, (highest level Gold Supplier Award). We’ll never risk our reputation as the nation’s top custom vinyl labels printer on anything less than the best vinyl printing for your project. We win all those awards (and many more) because our quality and service are unsurpassed. Our standards as America’s top vinyl label maker are so high that we average 99% approved order rates. Our custom vinyl labels are engineered to resist the fading, cracking and image degradation you see on cheap, supposedly weatherproof vinyl labels printing. We use specially coated substrate treated with a permanent acrylic adhesive for better ink bonding. A quality vinyl label printer, such as Data Graphics, can also protect your vinyl printing with a UV laminate. These are a few of the key things that sets Data Graphics apart as a vinyl label maker — our vinyl printing is engineered to stand up to the elements longer and display your image so much better than the typical low quality vinyl decal printers. 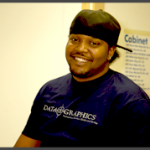 You won’t find a custom vinyl stickers maker you will enjoy working with as much as Data Graphics. We provide personalized service that makes your entire ordering process easier. You’ll have a single dedicated point of contact to guarantee error-free orders. Our knowledgeable, helpful staff has over 500 years of collective printing experience. With that much experience, you will have a hard time finding a vinyl printing dilemma we haven’t solved before. We go the extra mile to find the most cost-effective solutions, and help our clients’ solve their vinyl printing problems. That’s why more than four out of five customers reorder with us — we quickly become the vinyl label printer and vinyl sign maker of choice. We are a seriously fast vinyl sticker maker. 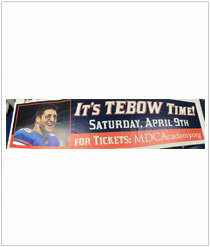 We are an industry leader in vinyl sticker printing, with turn-around times of just 2-10 working days. We print your vinyl sticker, print your vinyl decal, print your vinyl sign on time every time. In fact, more than 60% of our orders ship early. Our 25,000-square-foot production facility and 60+ highly-trained vinyl decal printer and vinyl sign makers are ready, willing, and able to fulfill your vinyl printing order. Please call 800-639-4316 today and see for yourself just how fast and responsive we really are. We know how vital it can be to get your custom vinyl printing done right on time. Each label matters, and should be checked for accuracy and quality. Most other vinyl decal printers only inspect random samples of your vinyl stickers print order. We have 100% inspection standards. Yes, every single one of your vinyl decal is inspected by our quality assurance team. We do our own fabrication in-house, so there are excuses and no delays on getting your custom vinyl stickers print job die-cut, or kiss-cut to your specifications. 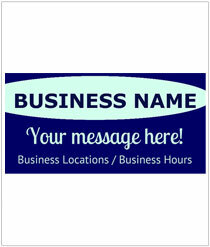 A quality vinyl sign maker or vinyl label printer can save you headaches and dollars. 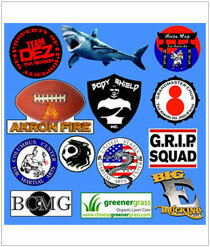 We are among the most versatile vinyl decal printers in the nation. If this is the best choice of substrate for you, we can screen print, digitally print, flexographically print or hot stamp your labels and signs. 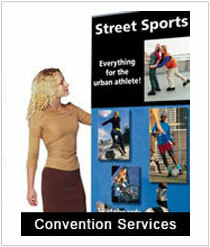 As a leading vinyl sign maker, we can also use heat transfer printing on larger projects. Screen printed vinyl sticker printing creates the most vibrant colors and can be very cost-effective on larger runs. Digitally printed vinyl sticker printing captures photo quality images with full color fade, and are cost-effective on smaller runs. Flexographic custom vinyl sticker printing is similar to a screen printed vinyl sticker printing, and is typically the most cost effective if you have repeat orders. Vinyl labels printing done on a Flexo machine, however, are more limited in size. Hot stamp vinyl sticker printing is limited both in size and color. However, this form of vinyl printing has a stylized and eye-catching appearance, and is nearly as cost effective as the other methodologies for many applications. 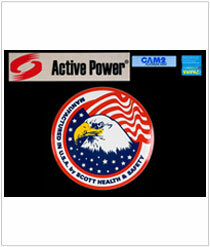 Only hot stamp and digital vinyl sticker print can create serialized decals. Any methodology can create QR/barcoded decal print, except Flexo. 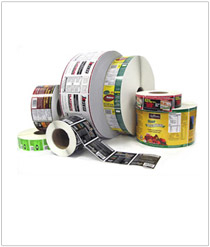 Flexographic vinyl stickers print and hot stamp vinyl stickers print come in convenient roll label form. There is also the possibility that this is not the best possible substrate for your printing project. Another substrate material, such as a polycarbonate like Lexan, or a polyester like Mylar may be a better choice. Using another methodology entirely, such as CNC engraving, laser etching, or metalphoto ® printing, may also be wise. This is especially true if you need custom labels or sings which will endure years of abuse, harsh chemicals, or extreme heat. These other methodologies may well prove more cost-effective over time, due to replacement costs. Our expert staff will provide you with the best vinyl sticker printing options and walk you through the strengths and weaknesses of each. We will find the best methodology and even recommend other substrate materials; whatever it takes to give you the best value. 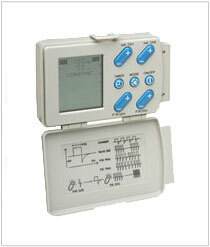 We are big enough to have an array of leading edge machines. We continually invest in our equipment and facilities, making a $1 million investment in the last few years, so you consistently get quality you can trust from your vinyl label makers. We also have a redundant machines, so a glitch one die or printing press will not delay your order. We can print your bar coded vinyl sticker, print your serialized vinyl decal, print your trade show banner and create your packaging labels all at the same time using different machines. We will employ whatever methodology is most cost effective for you and most fitting for your project, because we have the right tools for the job. In spite of our world-class capabilities, we are small enough that we still value each client in the DG family. Each of the thousands of vinyl decals and custom nameplate we create is manufactured to the same high standards as if it were going on the International Space Station or an aircraft carrier…where some of our other nameplates are already in place. We want to earn your business and become your custom printer for life. We promise you will never be treated like “just a number.” You won’t find a vinyl label printer as committed to your satisfaction and success as Data Graphics. 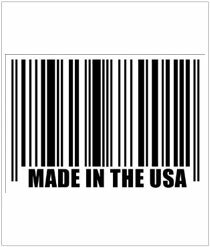 There aren’t many vinyl label makers who are ITAR (International Traffic in Arms Regulations Compliant) Registered, but we are. As an ITAR firm we adhere to the highest standards of confidentiality and security, and would be happy to sign your NDA. Don’t just let us print your vinyl decal, print your vinyl sticker, print your custom banner, and manufacture your custom nameplate–let us ship it to you for free. Simply place your order with us, approve the art, and relax knowing your project is in the hands of perhaps the nation’s best vinyl sticker maker. There is no need to think about your order again until it arrives on time at your door. Isn’t that the way vinyl sticker printers should operate? 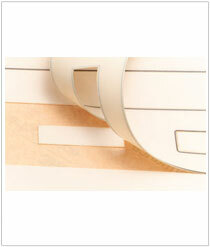 Flexibility: It is a flexible substrate, which makes it ideal for surfaces that are curved, uneven, or inconsistent. 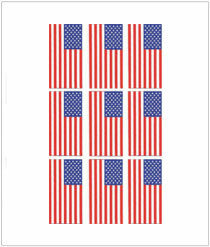 Resilience: One of the biggest advantages of a vinyl decal print or vinyl sticker print is that the substrate is tough and resilient. Few flexible substrates are as durable. Image Quality: In the past, the best way to create bold, colorful images in your vinyl sticker print or vinyl decal print was through hot stamping, which offered limited colors. Vinyl printing has changed, however. With our ability to pre-treat the substrate, we can create stunning custom vinyl labels printing though flexographic, screen, and even digital printing. Size Range: Unlike other substrates which are limited in size, we can do vinyl sticker printing in virtually any size, and our large format digital vinyl sign maker can handle projects up to 30″ wide and essentially as long as you want. Weatherproof Vinyl Printing: The substrate is able to withstand the rigors of outdoor use. Vinyl stickers print shows very little image degradation regardless of extreme temperatures, or precipitation. 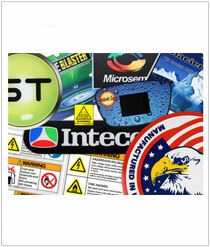 UV Resistant Vinyl Sticker Print: We employ UV inks upon request for your custom vinyl labels printing. Traditional inks are heat dried to cure. UV inks, however, actually cure through exposure to UV rays. While even waterproof vinyl sticker print with traditional inks will experience fade due to UV exposure, our weatherproof vinyl stickers print actually cures more and more in the sun. We typically coat all outside vinyl decal print with a protective UV laminate, enhancing its ability to withstand the elements. 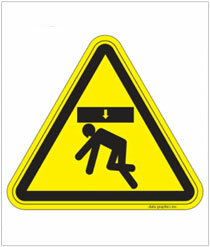 Fabrication: Any vinyl sign maker or vinyl labels maker will tell you the substrate is easy to fabricate. This might seem more like the concern of manufacturers than consumers, but it can make a real difference in the end product. 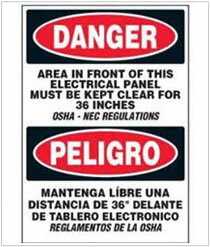 Because fabricators find the substrate so workable, it is possible to make labels in virtually any shape or size. Other substrates may be unworkable in very small fabrication, and certain shapes may not fabricate well. With vinyl labels printing, you can design freely, because there are no such concerns. Cost-Effective: If you are looking for a durable, weather-resistant solution, vinyl printing is a very cost effective solution. 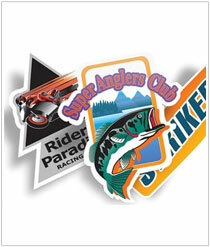 Vinyl stickers print is more affordable than most advanced synthetic substrates (such as BOPP, Mylar, or Lexan) and certainly more affordable than most metals (such as anodized aluminum). There are cheaper options. When you combine the affordability and the long service life of vinyl sticker printing, however, it often provides the lowest life-time cost. Emboss: Because it lacks rigidity, vinyl sticker printers cannot effectively emboss labels on this substrate. Our sales engineers would be happy to discuss alternatives for embossing labels with you. Color: The substrate comes in a limited number of colors. If base colors don’t exactly match the specific PMS color of your choice, we will need to print the base color, which will have an effect on price. Extreme Heat Resistance: Even the most weather resistant vinyl labels printing will lose its structural integrity when exposed to extreme heat. As such, vinyl printing is inappropriate for applications such as space heaters, radiators, ovens, dishwashers, motors, engines, etc. Our sales engineers would be happy to discuss alternatives to vinyl labels printing with you. Corrosion and chemical exposure: Every vinyl label maker will tell you that one of the advantages of this substrate is that it does not rust. It is not, however, impervious to corrosion, solvents, salt spray, or chemical breakdown. If your vinyl decal print will be exposed to these conditions, our sales engineers would be happy to discuss the most durable alternatives, such as metal photo prints, with you. Abrasions: While it is a resilient substrate, vinyl decal print is simply not as durable as metals and some other synthetic substrates. Moreover, even if it has a protective UV laminate, the substrate is top printed. That means that given enough time and enough force, it is possible to scratch off the vinyl sticker print. Our sales engineers would be happy to discuss the most durable alternatives, such as the metalphoto ® with you. 1. What demands are placed on your vinyl label printing? What is the life expectancy of your vinyl sticker print? Will it be exposed to UV? Does it need to be waterproof? Will it be exposed to chemicals or abrasion? As a leading nameplate, overlay, and vinyl decal printers, we have asset tags on tanks in the desert, aircraft carriers in the ocean, and even the International Space Station. There is no better prepared vinyl sign maker or vinyl label printer to manufacture a product that will endure, if we understand the demands being placed on it. Even the best vinyl label makers, who can produce products that withstand the most extreme elements, will fail if the sign or decal is subject to abrasion, harsh chemical exposure, or extreme heat. If we know the abuse your nameplate, label, overlay, or sign is expected to withstand, we can manufacture a product that will meet your every expectation. 2. What information needs to be conveyed on your vinyl decal print? Is a logo enough? 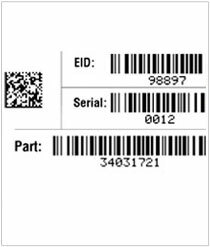 Does each label need UID or serial number identification? Must your vinyl printing have scannable information, such as barcodes or QR codes? 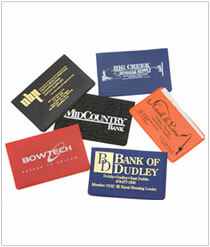 For variable data vinyl decal print, digitally printed or hot stamped custom vinyl labels are the logical choices. 3. Where will your decals be applied? Obviously, the answer to this question will effect the adhesive we choose. Less obvious is the fact that this can rule out vinyl printing all together. The substrate lacks rigidity, and does not maintain its structural integrity well placed on an extremely hot surface. 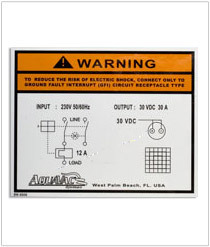 If a rigid or thermo-resistant label is required, there are much better choices. Our sales engineers can walk you through these options and help you create the best custom labels. Please call us at 800-639-4316 for a free consultation.